A second location of the Sonic drive in chain is coming soon to Spokane. This time Sonic will be in North Spokane at 10421 N. Newport Hwy. . This new location however will be a different franchisee then the other 2 locations that have been in the Inland Northwest since the mid 2000's . This location is proposed by the Boise based White Leisure Development Co. , currently Sonic has a location on N. Ruby by Gonzaga , on Hwy. 41 in Post Falls and another to our South in Lewiston. There is no construction start date or opening date listed on the plans but the building permit has been filed the County and a pre-development conference was held awhile ago. It appears this new Sonic will be like most Sonic locations featuring the drive up stalls and drive through lane. Plans call for a 2308 square foot building with 18 parking stalls, a drive through and 5 parking stalls. Sonic, which operates their restaurants under the motto " America's Drive In " is an Oklahoma based restaurant chain. They are primarily a fast food style restaurant with over 3500 locations open for business, mostly franchised. A couple of months ago I was alerted to a rumor that a Big 5 Sporting Goods location would be coming to the small shopping center directly in front of the original Spokane Valley Wal Mart store. Not only can I now confirm that, but also " coming soon " signs have already been posted at the site which is at 15735 E. Broadway Ave. #D1 & 2 . The new Big 5 store will occupy a little over 14,000 square feet of space where both Hancock Fabrics & Downeast Basics clothing store once we're. They are shooting for opening this new store early to mid 2nd quarter this year. Sources say the company will also keep their other Spokane Valley location, on Sprague near Costco, open in addition to this new store. Sadly a few months ago Wintersport Ski, Bike & Board closed their doors after more then 40 years in business. But, it looks like their building at 3220 N. Division isn't going to sit empty long, and in fact will even be filled with a somewhat similar business. A new business called NW Outdoors is working on opening for business in that building by April 1. NW Outdoors will be a locally owned and operated consignment shop of quality outdoor gear and apparel. In preparation for their April opening, they will start accepting items on March 4th and have already started hiring. All the information about accepting items and jobs can be found on their website which is listed below. NW Outdoors will sell merchandise for backpacking / camping , technical outerwear & clothing , bikes & biking supplies , skiing / snowboarding equipment, climbing equipment , motocross supplies , hunting & fishing needs and much more. And, with the store being consignment many items will likely be harder to find and priced better then the big national chain stores. On top of that they say they will only accept high quality items so your still getting the best. They will be open Mon-Sat 10a - 6pm and Sunday 11a-5p , with a grand opening celebration planned for April 1st. HUGE things are coming to the Kalispel Tribe's Northern Quest Resort & Casino in Airway Heights. Today, the Casino announced a major expansion with several family friendly features , a luxury RV park and more retail / restaurants! Cyber Quest - a family friendly arcade featuring about 70 non-violent games and attractions. Kids Quest- an hourly children's entertainment center which will be open for all kids up to age 12 for kids to hang out and play while their adult family members are in the Casino, at concerts or out to dinner elsewhere on the Northern Quest property. Northern Quest Food Court expansion- Already home the popular Fatburger & The Deli restaurants the food court area inside the main casino will be expanded for at least 2 more restaurants. They however just say the names of these restaurants will be announced later. Luxury RV resort- Northern Quest has partnered with Bud Surles a nationally recognized RV resort developer to open a RV resort on their property. It will be on a 17 acre parcel with 36 oversized standard sites and 29 pull through sites. Those without RV's can still stay in the new RV area as 19 " tiny home " style cottages will also be available for rent. The new RV resort will be staffed by 24 people and even include an " amenity center " with features like a fitness center, guest laundry, a conference room and lounge area. Sports courts , a dog park and much more will also dot the site. The new expansion will create hundreds of new jobs and add to the already existing world class casino, 14 restaurants and lounges and a 10 story hotel with 250 luxurious rooms and suites. Last week on this site I shared that a building permit had made it obvious Spokane would soon get a location of the growing Firehouse Subs chain. And, now thanks to the franchise owner who saw that post and promptly reached out to me, I can now confirm that indeed, Firehouse Subs is coming to Spokane. The Jacksonville,FL based sandwich chain is working on a new location in the recently renovated former Apollo Spas building at 7808 N. Division. The new restaurant will occupy just over 2000 square feet in one of the four newly created bays of the building. The opening date isn't officially set but will be before June 1st and it will create jobs for 18-20 people. At this time the N. Division St. site is the only one officially underway in the Spokane area. But, it likely won't be the only Firehouse Subs location we'll see here as the same franchisee holds the rights for the entire Spokane area up to the Idaho state line. He says there will likely be a second location coming sometime in 2018 and upwards of 4 Spokane area locations might even be possible. Firehouse Subs has over 1300 locations under it's branding in 44 states, Puerto Rico and Canada. The chain is all about firefighters and other first responders . So much so that Firehouse Subs locations are decorated with a firefighter theme that includes fire fighting equipment and history / photos of the local fire departments in the communities they serve. Firehouse Subs does have a good menu of both hot and cold subs, salads, kids meals and much more. But in addition to their food, Firehouse Subs is also committed to giving back to fire fighters by way of the companies Public Safety Foundation called the Firehouse Subs Foundation. The foundation has given out over $24 million dollars of fire station equipment, training and support. In fact they won't open in Spokane for some time yet and they have already started donating locally with the donation of an AED ( Automatic External Difribulator ) to the Spokane Police Department . Catering service will be available upon request as will be some healthier options with some sandwiches and salads on the menu coming in under 500 calories. Online ordering will also be available on the site shown below, once the local location opens for business of course. It should be noted that another sub sandwich restaurant did once operate in Spokane using a similar name. That business was Sparky's Firehouse Subs which had at one time 2 locations but was not a part of this chain, instead was a locally owned & operated business. Today they are still open near SCC but appear to have dropped the Firehouse part of their name and are now just Sparky's Subs. Several new hotel and hotel remodeling projects are proposed all around the Inland Northwest, but a section of land off Geiger Blvd. south of Spokane International Airport is now home to two big hotel developments. One being the future Sleep Inn / Mainstay Suites in development on the same site as the current Airway Express Inn ( that hotel would be demolished ). But just southeast of the their in a newer industrial park type area another new hotel will soon rise at 4523 S. Dowdy Rd. just off of Geiger Blvd. . The new hotel will a franchise branded as a La Quinta Inn, a Irving,TX based hotel chain which already a few other locations around the region. The chain which was founded in the late 1960's has well over 800 locations in the United States and a couple of other countries. There is no estimated opening date for this new La Quinta Inn on the West Plains but construction will likely start next month. The hotel will be a 4 story property with 55,000 square feet and 87 rooms , a few being suites. A yet to be named bar & restaurant will be on the same site as will meeting spaces , a continental breakfast area , indoor pool & spa , airport shuttle and a guest laundry. This new hotel project is in a good spot, visible from I-90 and a short drive to the Airport. It's also in a good spot to attract business travelers with several employers in close proximity, including a couple rumored new manufacturing facility's nearby like the possible Spike Aerospace facility which Spokane is confirmed to be in the running for. Spokane has it's fair share of coffee house's and even a few tea shop's but none quite like Urban Nirvana which opened just recently in Downtown Spokane. Urban Nirvana is a small locally owned and operated business at 108 N. Washington just a couple of blocks south of the INB. And, with just 1180 Sq. feet it's not the biggest such business in the Lilac City but it is amongst the most unique. 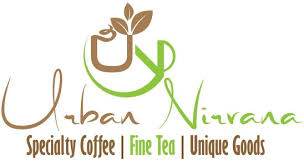 Urban Nirvana sells over 40 award winning loose leaf teas, all of which are fair trade, in addition to a good variety of fair trade coffees which can be consumed on site with some seating in the business. Some of the coffees and teas at Urban Nirvana are even world renowned and some so prized in the coffee world that they are only sold at auction ( these are while supplies last ) . They even have a white tea available that is picked by monkeys. They also can be found on social media. While we have yet to confirm it with their corporate offices it looks like the Firehouse Subs chain is about to enter the Spokane market. The Florida based chain of sandwich restaurants was named on a electrical permit for " suite 1 " of the newly renovated building at 7808 N. Division ( Division & Lincoln) this is the former Apollo Spas store that will be a small 4 bay shopping center. Two of the spaces have no tenants names yet , and other then Firehouse Subs a new Sprint store is also named on the permits. Firehouse Subs is based in Jacksonville,FL that continues to grow with the recent recorded, over 1300 locations in 44 states, Puerto Rico and Canada. The chain's motto of sorts is " founded by fireman " making note of the businesses roots of being founded by brother firefighter in the early 1990's . Even today their restaurants are usually firefighter themed with fire fighting equipment and well as photos / history information about local firefighters. They serve hot subs and cold subs with some healthier options like salads and sandwiches fewer calories . They also have kids meal options and they also offer catering services upon request. We do have an information request into Firehouse Sub's corporate, most if not all of their locations are franchise locations so we assume the Spokane is also already owned by an operator. There is no known opening date yet or amount of employees, size of store, etc... but we expect all of this soon. Premier is planning on taking over about half of the skywalk level of the Crescent Court Building at 707 W. Main for a new office complex location. The new center will occupy 12,255 square feet of space and provide 62 new offices with window offices, interior offices and mini suites. Tenants of the new Downtown Spokane Premier Business Center can gain immediate occupancy of their new office space and Premier also offers short term agreements meaning no locking yourself into leasing a office or having to pay for more space then you may need. These business centers are an ideal alternative for growing home based businesses, travelling business owners or even those wanting to cut back. Offices are available down to 96 square feet and access to high speed internet , personalized phone answering , mail service, voice mail, appointed conference rooms, secretarial services , a reception area and even an on site kitchen. Offices can even be rented furnished or un-furnished. Full time offices at the new Premier Business Center start at $532 a month and daily and even hourly rental options are available. The location is also ideal with most of Downtown just steps away and a short uber ride away from Spokane International Airport for those coming to Spokane from out of town. http://pbcenters.com < enter zip code 99201 for the local site. With exciting entertainment , restaurants , shopping and several large employers Downtown Spokane is the place to be. And, with Millennials shying more and more away from home ownership it only makes cense that apartments would go fast in the city center. I'm told several centrally located apartment communities have wait lists and projects like the proposed re-build of the Ridpath Hotel have people looking for information even before the project is built out. A recent article with the Journal of Business says Rencorp Realty,LLC has acquired the historic apartment building at 410 W. 3rd in hopes of renovating it into a new , more modern apartment complex with Micro apartment style living for those wanting to live Downtown but not able to obtain the high end residences. 32 apartments are to be included in the new SoDo Commons building and the apartments will have parking and access the new courtyard space that was put in as part of HDG Design Group's big project right next door at the corner of 3rd and Washington. There is more on that project elsewhere on this site, just use the search bar above ( on the desktop version ). Apartments at SoDo Commons will likely be available to tenants this fall. Spokane based GVD Commercial Properties acquired the historic Montvale Hotel last year in addition to a couple of neighboring buildings. They have since invested in the Montvale to make it a more attractive boutique hotel and are working on converting much of the other spaces into an event center able to host multiple different types of events. But, they are also planning on taking the upper floors of the former Music City Building at 1011 W. First Ave. and turning them into apartments. They plan on creating 14 apartments there, all of which will be " market rate " We don't have an opening date just yet for when tenants might be able to move in to these new apartments. The second floor of the building that houses Nudo and Fire Artisan Pizza ( 816 W. Sprague ) will be converted soon into modern looking loft style apartments. They will be available as market rate housing and will be completed sometime this Summer. There will be 4 lofts in the space which will be designed by HDG who also designed Fire & Nudo. Unfortunately, Yutzen Japanese on N. Division has closed it's doors for good. But the small building at 5204 N. Division will remain a home for delicious Japanese cuisine as Aji BBQ & Sushi has already opened for business in the same location. Aji BBQ & Sushi has a good sized menu that includes a variety of traditional Japanese noodles , teriyaki and katsu dishes in addition to a variety of sushi ( nigiri , sashimi , rolls ) . They offer a lunch special and will have Sake, wine and a selection of beers on tap! The new restaurant will be open Mon- Sat. 11a - 9p and their phone number is 509-413-1272 . It is still " in development " but Muskego,Wi based hotel company , Lighthouse Hospitality Group, is planning a new hotel just off of I-90 near Spokane International Airport. The hotel will be our area's first duel branded hotel meaning the hotel will be one building but with 2 names, some rooms under one name and others under the other. Not only is this new hotel project exciting because of the branding it will also act as a replacement for the Airway Express Inn, an older motel that's less then ideal for most travelers. The plans call for the Airway Express Inn to be demolished to make way for the hotel which will rise immediately to the south of a Best Western along Geiger Blvd off of I-90. There isn't a set opening date yet but they are working on the plans now. Another Sleep Inn / Mainstay Suites hotel by the same owners is also listed as "in development" to our south in Pullman. The owners, Lighthouse Hospitality Group boast over 32 years of hotel experience , several awards and six hotels currently open under their ownership. Choice Hotels, the owner of the Sleep Inn and Mainstay Suites branding is a Rockford,Maryland based company with many locations open all over our area. The company is actually rather large with multiple brands and over 6300 locations in several different countries. I've done posts like this before mentioning in a brief form some of the new businesses coming and going from the Spokane / Coeur d' Alene area. But this one is a bit different, it's a Facebook new business openings & closings post , so what does that mean? - Mill River Rustic Furniture is going out of business. They are located in the 500 block of E. Sherman Ave in Downtown Coeur d' Alene. -My Big Fat Greek Deli will also open soon at the Tedder Business Center in Post Falls. - The Viking on N. Stevens in Spokane is re-opening and has started hiring for all positions. - The Verge Coffee Co. has opened for business in the space that was The Service Station at 9315 N. Nevada in North Spokane. - Trek Bicycle Store has opened at 1104 N. 4th in Midtown Coeur d' Alene. This is the new version of Bicycle Sales & Service further north on Fourth. - Mojo Cyclery has opened at 1405 N. Argonne in Spokane Valley. - Mattress Depot USA & Big Dan's Nutrition are new tenants in the Sullivan Square shopping center at the corner of Sprague & Sullivan in Spokane Valley. - Modern Tipi , a Native American art and gift retailer has opened in the Saranac Commons building on W. Main in Downtown Spokane. - Roger's Burgers & Ice Cream has opened for business at the corner of Spokane St. & Fourth in Post Falls. And, on a side note I highly recommend them! - Little Mo's Optical Boutique on Lincoln Way in Coeur d' Alene is going out of business. - Silver Lake Automotive has opened on Mullan nearby Wal-Mart in Post Falls. They also remain open in Coeur d' Alene on Hanley. - Yutzen Japanese Resturant on N. Division just north of Northtown Mall has closed. The building won't be empty long as someplace called AJI BBQ & Sushi is already planned to open there. - Liberty Lake Juice Company will be a new smoothie / juice business on Liberty Lake Rd. in... you guessed it, Liberty Lake. * They'll be in the Albertson's shopping center. - The Wake Up Call is really coming along on their new coffee shop / drive up at N. Division & Nora in Spokane. - The Free People clothing chain is now open for business across from River Park Square in Downtown Spokane. - Lancaster Market is a new gas station / c-store with an attached location of the San Francisco Sourdough sandwich chain will open later this month at US 95 & Lancaster Rd. in Hayden,ID. - Beautiful Grounds a skin care / coffee shop in Downtown Spokane's Liberty Building is being remodeled into just The Fix Brow Bar & Skin Care Studio . - The Local Deli has opened a second location on Commercial Park Dr. in Rathdrum and it is now open for business. - Adorkable Flowers & Gifts is now open for business on Country Vista Blvd. in Liberty Lake. - A new restaurant called Craft & Gather is in the works for a former golf course clubhouse in Spokane Valley. - Chinese Holiday Massage is now open for business at 3812 N. Monroe in the Spokane's Garland District. - Wolffy's Burgers after some delay has opened their new second location just off of US 2 in Airway Heights. Currently open with a bit more limited hours though the original location on N. Hamilton in Spokane. And, this is all that we've shared on our Facebook page since Jan. 20th!!! There is no better place to find all of the new businesses in Spokane then Inland Northwest Business Watch! Nodland Cellars leaves Downtown, Terra Blanca quickly opens at their storefront. Nodland Cellars a Spokane based winery had a short lived wine tasting room on the ground floor of the Chronicle Building at 926 W. Sprague. However Nodland has decided to focus more on the wine and less on the retailing of the wines in large amounts. Nodland is still in business but will now continue on as a members only winery in the same site where they're wines are produced at 11616 E. Montgomery Dr. #69 in Spokane Valley. But have no fear, wines will continue to pour in the Downtown space. Immediately after Nodland Cellars vacated the storefront the space transitioned into a new tasting room for Terra Blanca Winery. For more information on Terra Blanca Winery, and their very nice estate in Benton City visit their website at http://www.terrablanca.com . Tempus Cellars to open a tasting room Downtown. Joe Forest Wines,Inc. , a Walla Walla based wine producer that does business as Tempus Cellars will open a new tasting room in Downtown Spokane sometime next month. Tempus Cellars will occupy a 1300 square foot storefront on the ground floor of the Peyton Building at 10 N. Post . The winery is a family owned and operated business which produced their first vintage in the Spring of 2009. There isn't a set opening date yet but a liquor license has been filed for Reininger Winery to open what will surely be a new tasting room nearby the Davenport Hotel in Downtown Spokane. Reininger is has been producing wines since 1997 and is also from Walla Walla. Their liquor license application is for 824 W. Sprague Ave. which is the Michael Building, which was recently renovated at the corner of W. Sprague & N. Lincoln . These wineries will join what has recently started being promoted as the Spokane Cork District. Although the wineries in the Spokane Cork District are actually spread all over Downtown ( and couple of other spots ) the Cork District is already home almost 20 wineries with tasting rooms here, a couple of wines with a presence in other tasting rooms Downtown. The Spokane Cork District website has much more info on the local wine tasting options, including recommended walking tours. At the end of last week The Inlander shared a story showing off Kendall Yards' big new planned residential / office / retail complex planned for the vacant lots in-between The Inlander's offices and N. Monroe St. While we actually mentioned this project before The Inlander article ( http://www.inlandnwbusiness.com/2017/01/two-more-mixed-use-buildings-being.html ) we didn't have all the information or renderings that their article has, so I will let you take a look at their article below. As expected it'll be two buildings linked together by a shared underground parking structure. The smaller gray &while building is the office building with retail below and the larger one on the left is residential ( not sure if it's condos or apartments ) with retail space also below. This is very exciting as Kendall Yards is growing faster than really any other development Spokane has seen in it's past. * And, on a side note their article mentions Greenstone can't mention who will go into the new building next to Spa Paradiso .But this space appears to at least be the site of the One Tree Cider's new tasting room. Although more businesses are also planned there too that we have yet to confirm. The Dingle Building might have a funny name but what is planned for this historic Downtown Coeur d' Alene building is simply awesome. The building stands at 402 E. Sherman, across from Vault Coffee & The Moose Bar is currently home to two shops on the first floor and several small offices on the two floors above. - Convert all of the existing upper floor office space into hotel rooms, 40-60 in all. The office tenants have actually already been asked to vacate. - Remodel the first floor to include a lobby and maybe even a small restaurant / coffee shop . Currently The Sports Cellar & Tiffany Blue ( a women's clothing boutique ) occupy storefronts on the first floor, it's unclear if they both will stay, but retail space is included in the plan. The hotel plan is still early in the planning / permitting phases so we don't have an opening date or even a planned construction start date just yet. However this new hotel which is under the preliminary name of CDA Grand Hotel, will likely be the talk of the town if built. The location would make it the closest hotel for Downtown events including Ironman and I'd guess it to have some good city views. Keep watching for more on this new proposed Downtown Coeur d' Alene hotel! A new locally owned & operated climbing gym will be opening in just a couple months in North Spokane. Bloc Yard Bouldering Gym will open in a former gymnastics business' building at 233 E. Lyons, by the Lowe's on Division. Bloc Yard will be a bouldering gym offering a diverse selection of climbing walls for people of all abilities and it's all being built by the owner. The business will be in a 9756 square foot building with 4500 total square feet of climbing surface with a 16' max wall height. A kids climbing area will also be included. Work is well underway inside the building to construct the walls and doing necessary updates to the building. The gym is currently projected to open for business around March but keep watching this site and our Facebook page as we plan to have more about Bloc Yard in the near future.